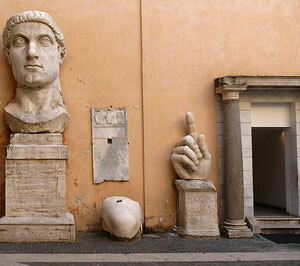 The CyberItalian AP® Italian Language and Culture syllabus is officially authorized by the US College Board. PLEASE NOTE: as we are an online provider we do not offer the AP exam, we only prepare students for it. The student's school usually organizes the AP test and manages the administrative aspects of it. Please contact your school for more information about it. During the AP course, students are supervised by a teacher who corrects their work. Students can contact the teacher for any doubt or question regarding the course and their study. This is an intensive course requiring students to practice regularly from 10 to 16 hours per week. Requirements: mastery of beginner and low intermediate language structures. Optional: Participation in the CyberItalian student group on FB. Optional: Penpal email exchange with an Italian high-school student (or representant of a class) of a Liceo Classico o Scientifico in Italy. Optional: Participation in Italian cultural events organized by Italian associations, Istituti di Cultura, MeetUp groups, etc. Testimonial: "Congratulations on the site. I am vice president of a training company in Alexandria, Virginia. I have been thinking a lot about distance learning and looking at a lot of examples. Yours is one of the best I've seen--easy to use, fun, and inviting. It is really inspiring to me as I try to see how our courses could be offered in a new way. Grazie, Sally"
In the AP® Italian Language and Culture Course students follow online asynchronous sessions, complete self-administered language lessons with exercises and exams, write their assignments, record their voice in the audio lessons, and upload their assignments and recordings for correction. The teacher evaluates the work of the students, grades it and posts corrections and feedback online. Assignments: students post assignments in the Class Forum. The teacher posts corrections and feedback in the Class Forum and in the student's Progress Report (available online 24/7). 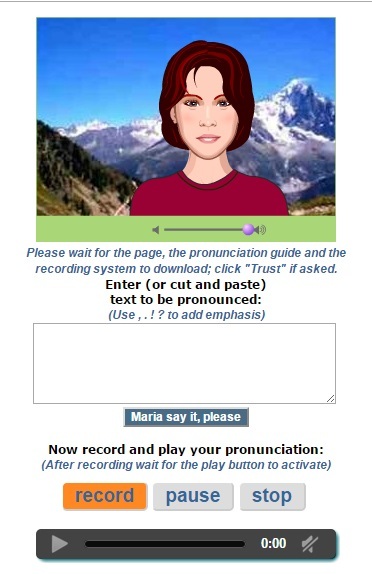 Audio-lessons: students complete self-administered audio lessons with a Pronunciation Guide and Voice Recorder. Students upload their recording for the teacher for evaluation and grading. Students are required to have a headset/microphone combination for the audio lessons. Students can see their grades and personalized feedback anytime in the Progress Report (available online 24/7). CyberItalian’s digital curriculum and AP® Italian Language and Culture Course are utilized for Founders Education’s Italian courses. Students are evaluated by Founders Education certified teachers. Founders Education is accredited by AdvancEd's Southern Association of Colleges and Schools, a regional accrediting agency recognized by the United States Department of Education. See Founders Education Policies and Procedures. The Final Report (XLS format) with ALL scores, final average grade and feedback from the teacher is issued at the end of the semester. Please note: in order to access the course you need to register through the registration partner, Educere LLC.